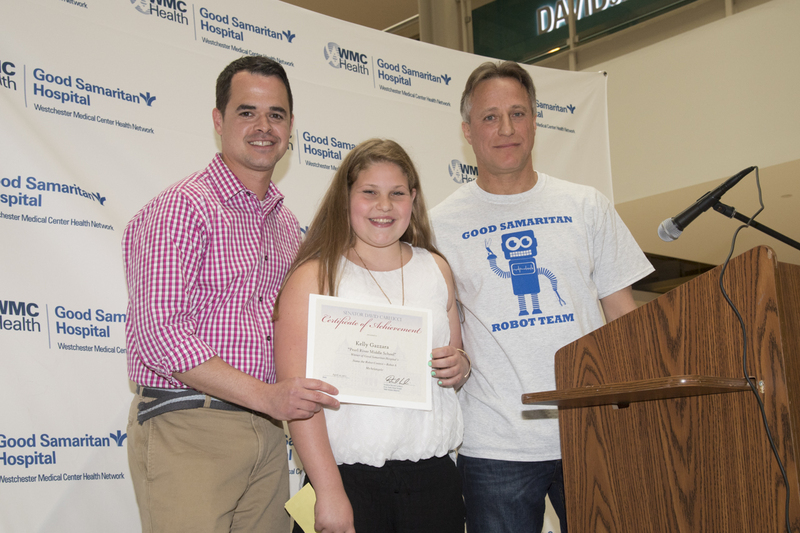 Name the Robot winner Kelly Gazzara from Pearl River Middle School is flanked by Sen. David Carlucci and Dr. Richard Evans, Vice President of Surgical Services at Good Samaritan Hospital. 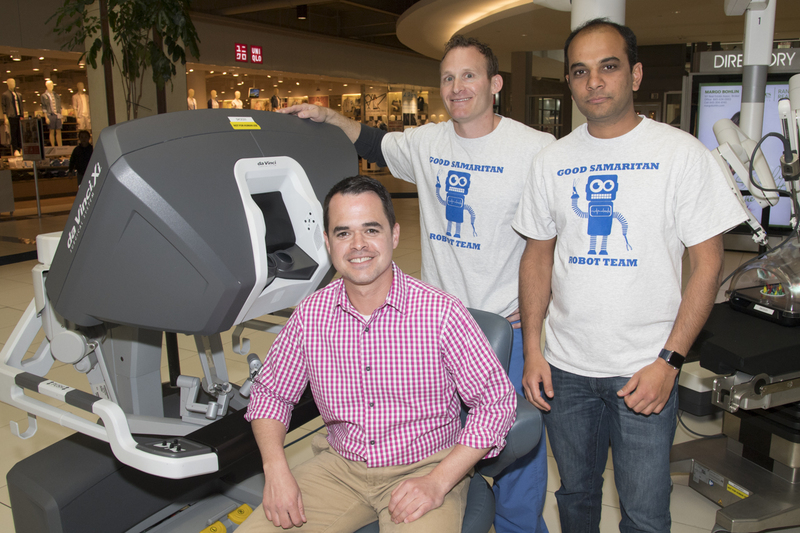 Robot Day was held at the Palisades Center Mall to promote Good Samaritan Hospital’s daVinci and Mako Robots. Both of the Robots were on display for anyone to try and observe. The robotic surgeons, nurses and techs who comprise the Robot team, were present to provide information and answer questions. Sixth graders from all of the elementary schools in Rockland County participated in a “Name the Robot” contest and the winners were announced by State Senator David Carlucci at the event. Kelly Gazzara from Pearl River Middle School won for selecting the name, Michelangelo for the daVinci Robot and Luke Flanagan from the Macarthur Barr Middle School in Nanuet won for selecting the name, Jones for the Mako Robot. 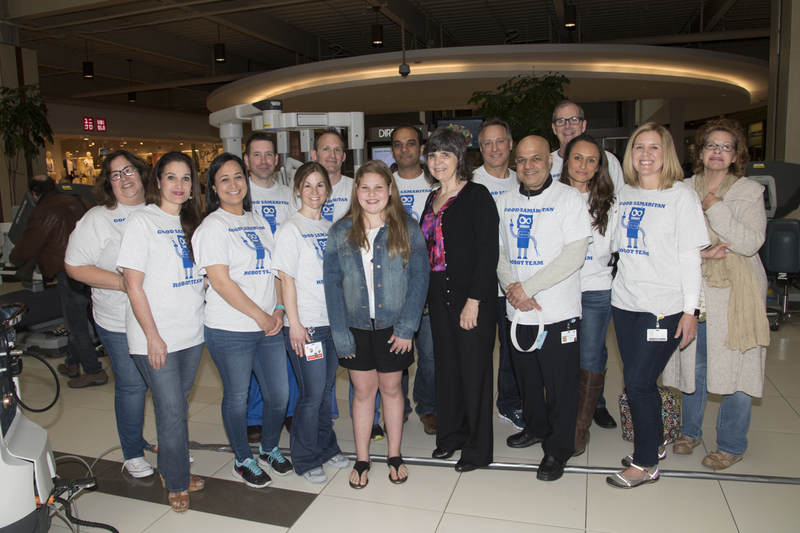 Name the Robot winner Kelly Gazzara from Pearl River Middle School poses with Dr. Mary Leahy, CEO of Bon Secours Charity Health System and the Good Samaritan Hospital robotic surgery team. 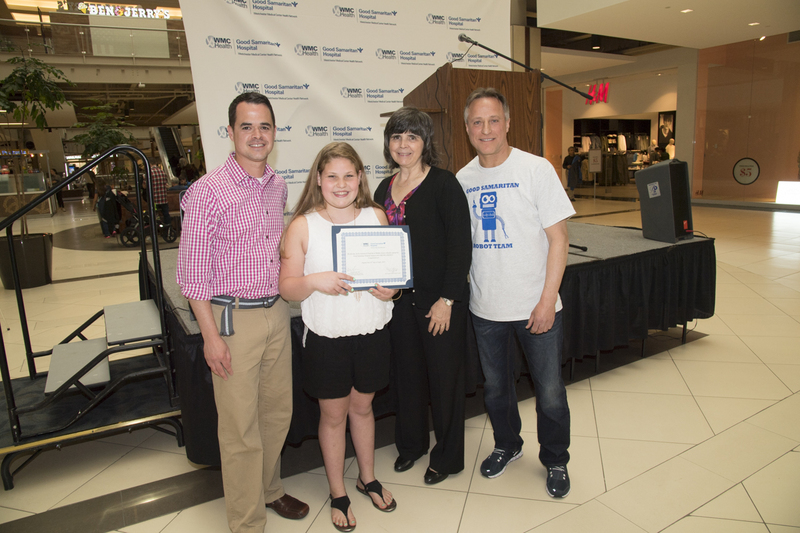 Name the Robot winner Kelly Gazzara from Pearl River Middle School is flanked by Sen. David Carlucci and Dr. Mary Leahy, CEO, and Dr. Richard Evans, Vice President of Surgical Services at Bon Secours Charity Health System. time, a faster return to normal daily activities and in many cases, better clinical outcomes. Stryker’s Mako Robotic-Arm is used in knee and hip replacement procedures. This latest advancement is changing the way joint replacement procedures are performed.